The deadline for entries for the 2018 award is 31 January 2019; so there is still time to nominate a game (which need not have been played by the person making the nomination). The detailed rules can be found here but briefly to qualify for consideration a 2018 game must be a win or a draw by a player qualified to represent Wales in a FIDE competition against a non-Welsh opponent graded over 2250 and FIDE-rated at least 150 points above the entrant at the time the game was played. Entries should be sent to Howard Williams (howard.swnynant@btinternet.com). The scores of these games can be downloaded here. Any notes to these games (and any others) submitted by 31 January will be taken into account by the judges in reaching their decision. 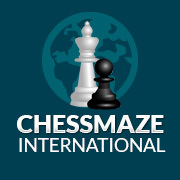 These games have been taken from the weekly bulletins on the website of ‘The Week in Chess’. But games from less well-publicised English/European tournaments do not necessarily reach TWIC. So would players please check that games they feel qualify are in the list and, if not, send them in.